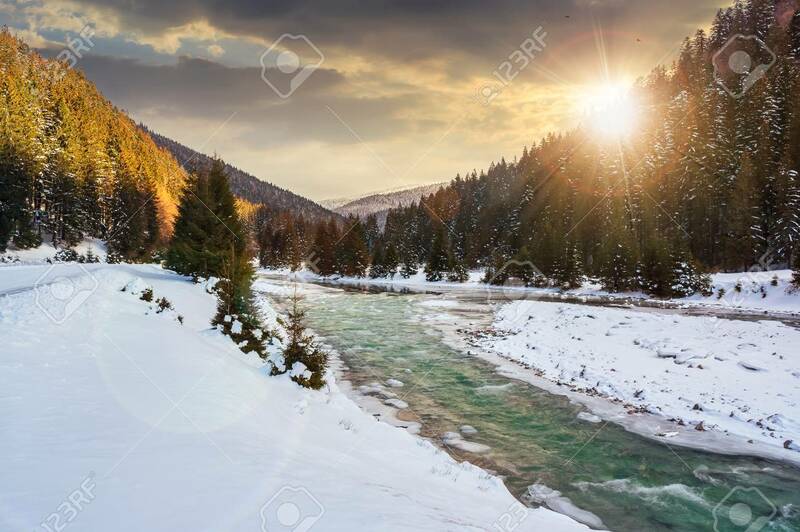 Mountain River In Winter At Sunset In Evening Light. Snow Covered.. Stock Photo, Picture And Royalty Free Image. Image 113582585.